Several years ago, in Cornwallis Gardens where I live, Hastings Borough Council installed three recycling points. Whilst they were somewhat incongruous, the general consensus was that the encouragement of recycling was a good thing. At the time, one of my neighbours warned that the recycling points would attract fly tipping. I disagreed, but to my dismay his prediction was right on the button. 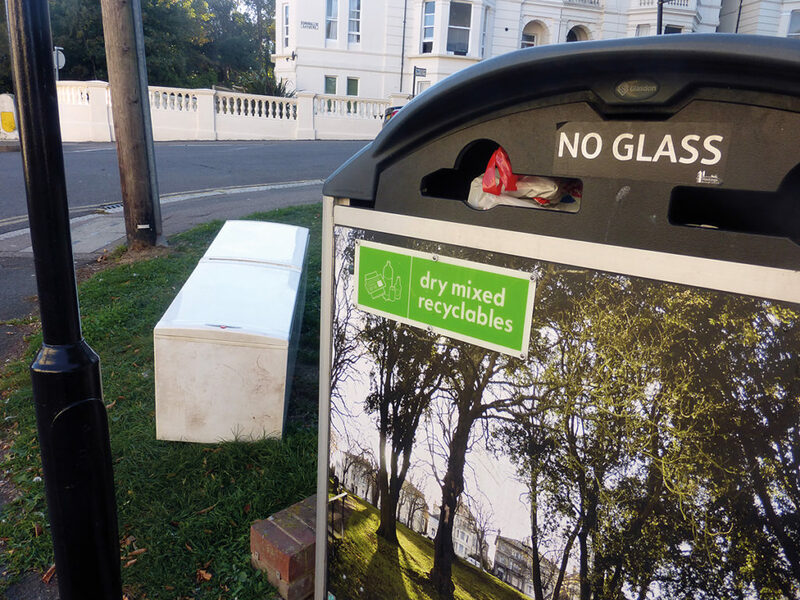 Fridges, mattresses, sofas and a host of other household items are simply dumped next to the points, no prosecutions occur, and the items are ‘cleared away’, almost always leaving a trail of uncollected detritus which is then spread around by wind and seagull. 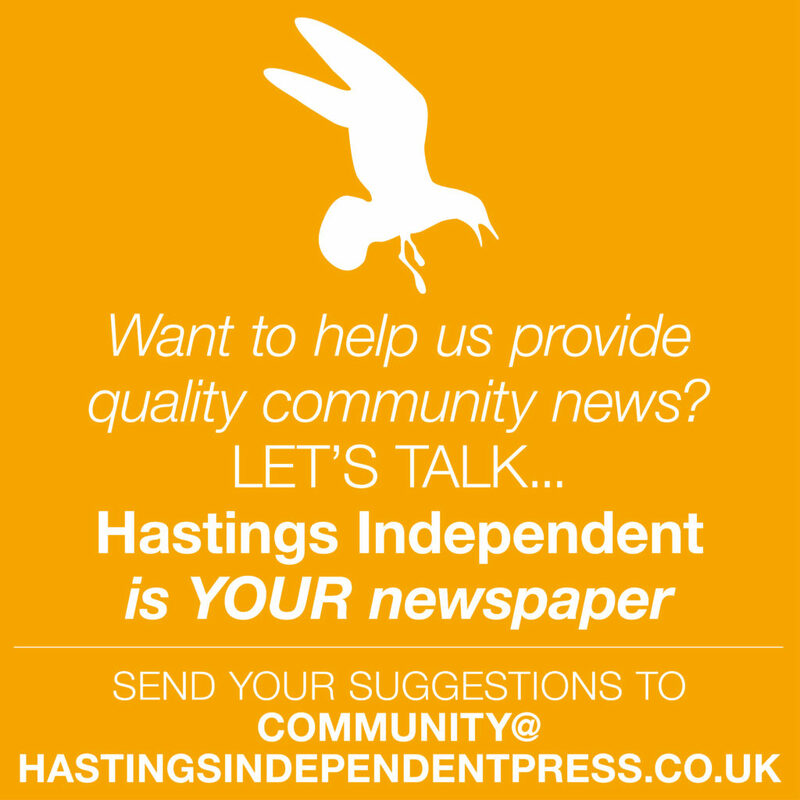 In a recent Observer article (December 18th), local resident Drew Brooke-Mellor told how he had suggested to the council that they might examine CCTV footage from the cameras advertised – with a promise of an “up to £50,000 fine” – on the side of the recycling points. Their reaction? A council spokesperson claimed they were “following up a lead, which may result in a prosecution.” CCTV was not a ‘silver bullet’ to solve this problem, they said, adding, “The best evidence is first hand witness evidence”. I discovered the truth when I phoned the Town Hall over three years ago – which was that no such CCTV coverage even exists at these Cornwallis Gardens points, because it has been moved somewhere else, somewhere with “priority problems” Where else is this the case, I wonder? So there you have it. You can illegally dump your rubbish here at no risk whatever, and the council will have someone pop round and clear it up, whereupon it will be replaced with more flytipping, usually within 24 hours. 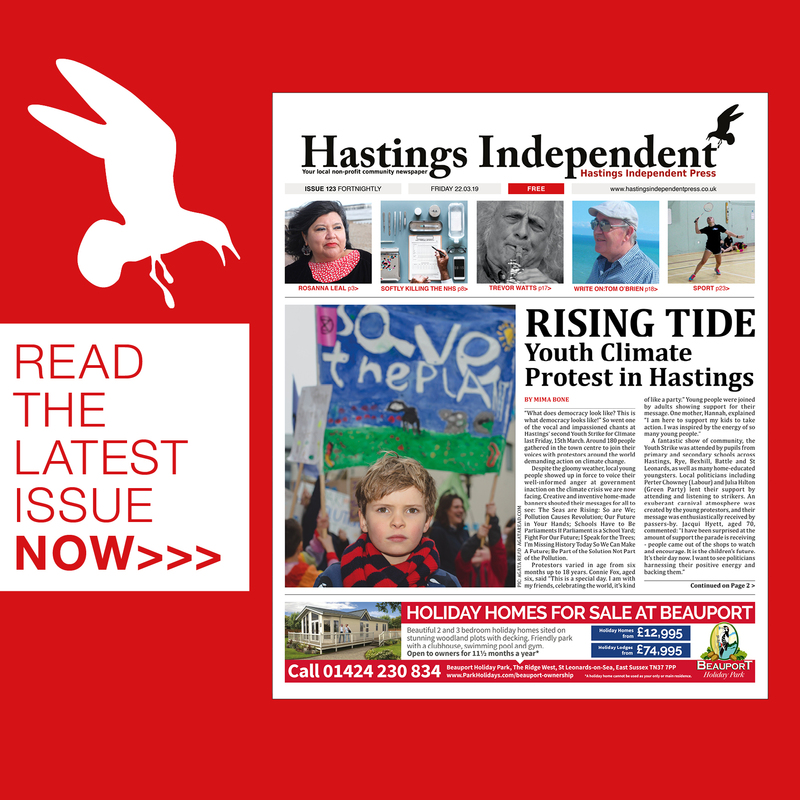 The Kier Group, who in 2017 had their £120 million contract terminated four years early by East Sussex Joint Waste Partnership, which included Eastbourne Borough, Hastings Borough, Rother District, Wealden District and East Sussex County councils, were the company responsible for the chronically poor maintenance of these points. In 2009 they were implicated in an illegal construction industry blacklist set up by the UK’s Consulting Association and were issued with enforcement notices. In June 2018, after a devastating fire, their contract with Glasgow School of Art was terminated and in October that same year, the company was named as a ‘poor payer’ at a Parliamentary inquiry into small businesses, failing to pay 48% of invoices due within their agreed terms, leading some suppliers to refuse to work for the company. No surprises there. Let us hope their replacement, Biffa, has been thoroughly vetted. 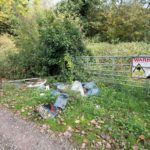 Fly-tipping – Can You Help To Stop It?